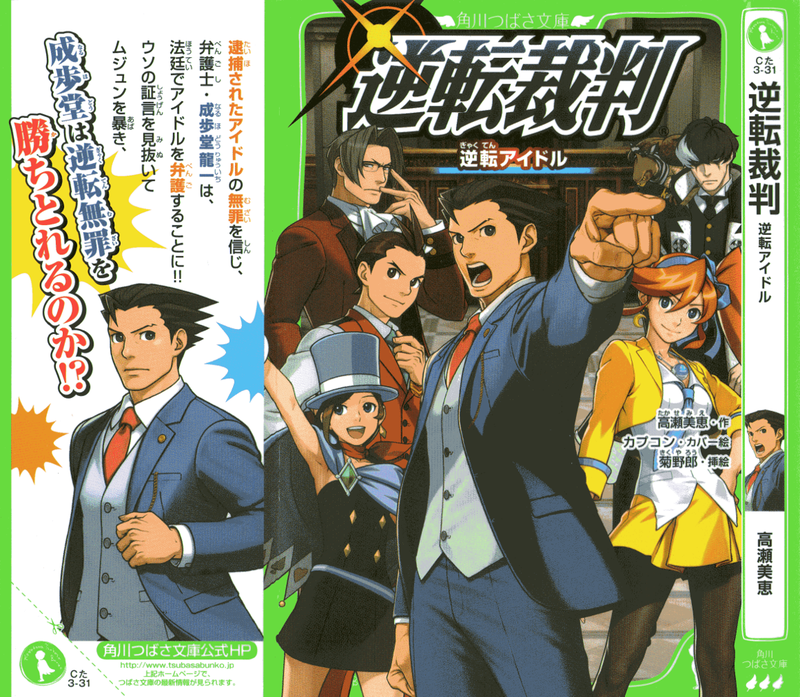 Believing in the innocence of an arrested idol, Defence Attorney Ryuuichi Naruhodou will defend the idol in court!! Seeing through lies in testimonies and digging up contradictions, will Naruhodou be able to achieve a turnabout aquittal!? 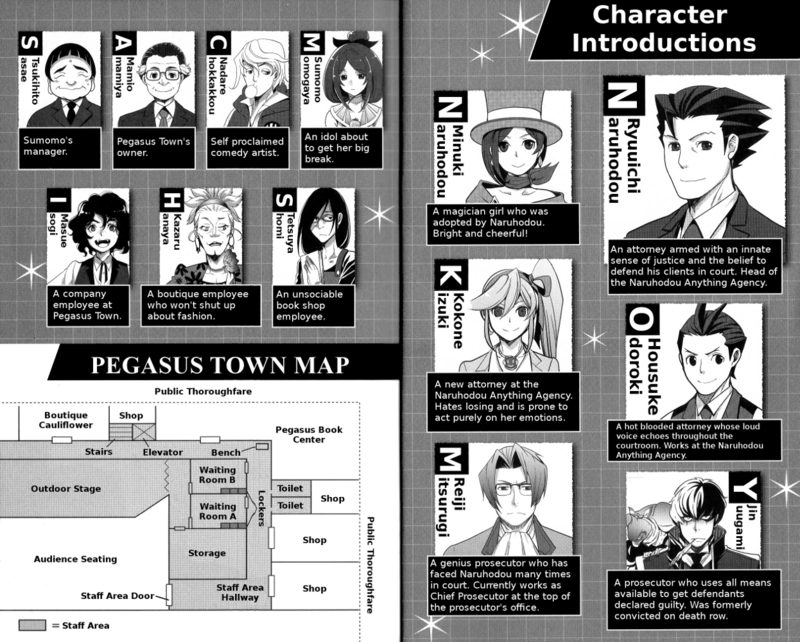 Defence Attorney Ryuuichi Naruhodou visits the shopping mall “Pegasus Town” due to an event his adopted daughter Minuki is participating in. Just as the event show seems to have ended without incident, a murder occurs! Sumomo Momogaya, an idol who appeared in the event alongside Minuki, is arrested as a murder suspect. Naruhodou takes on Sumomo's case and plans to prove her innocence in court!! An original story based on the popular game series! !